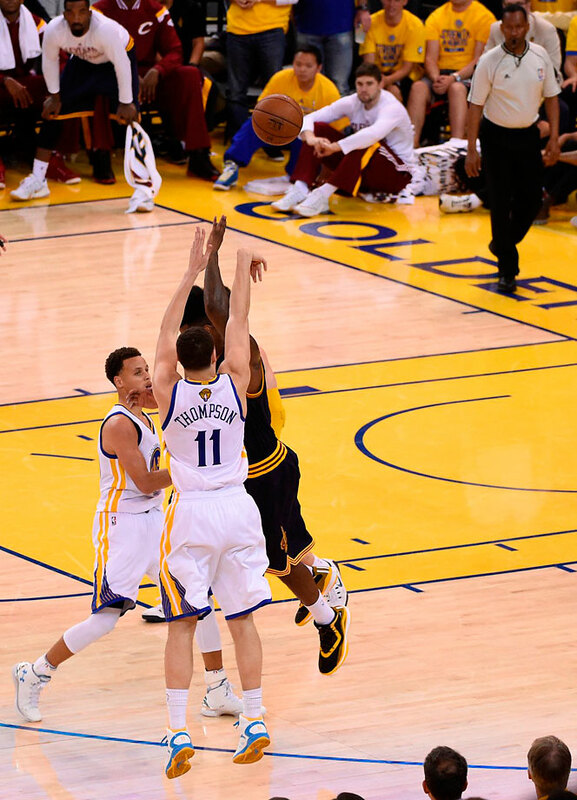 The Golden State Warriors' Harrison Barnes finished a putback dunk over LeBron James during the first half of NBA Finals Game 5 against the Cleveland Cavaliers. 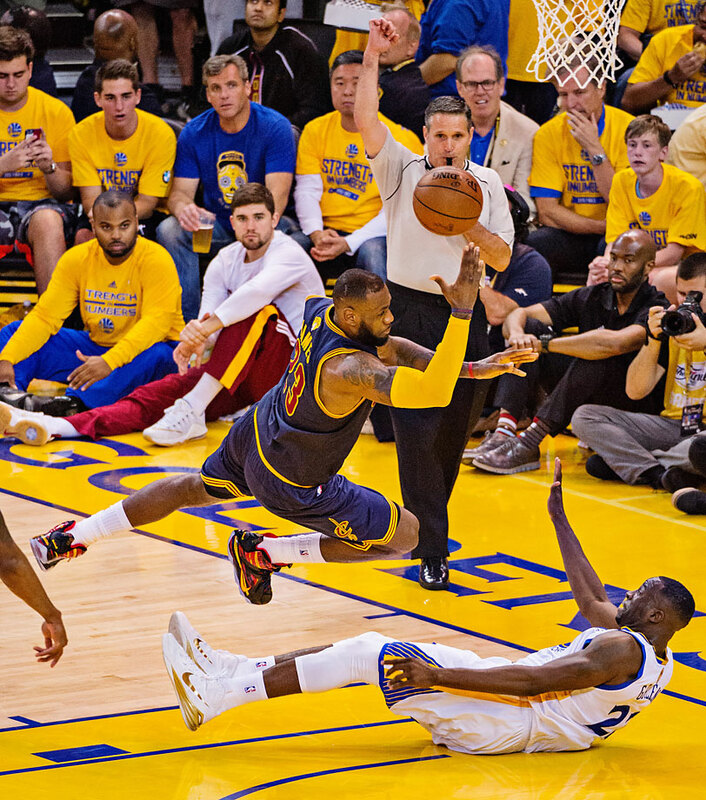 LeBron James is such a physical specimen that opponents rarely overwhelm him with brute strength and athleticism, but Harrison Barnes did just that when he rebounded a Stephen Curry miss and finished a putback dunk over an outstretched James. Barnes, who was also awarded a foul, reached the top of his jump just after James rotated to help with time winding down in the second quarter. 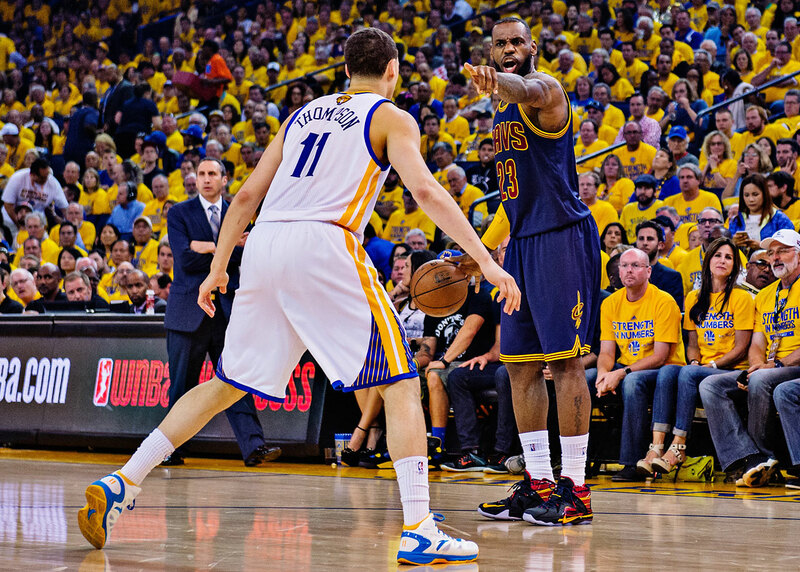 James tried to grab Barnes to no avail, and the Warriors tied the game at 50. 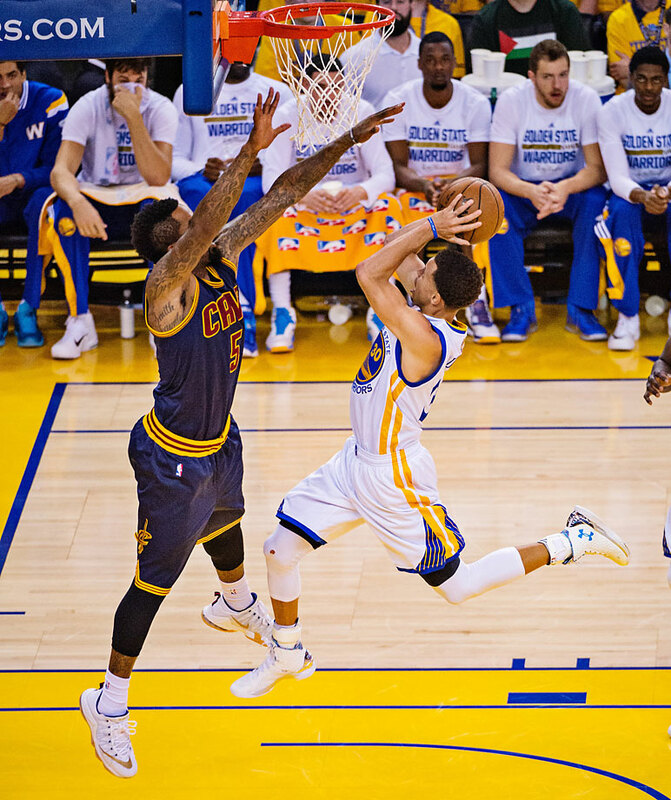 Barnes also hit a free throw to push the Warriors to a 51–50 halftime advantage over the Cavaliers. Golden State, led by Stephen Curry's 17 fourth-quarter points, beat Cleveland 104–91 to take a 3-2 Finals lead and move one win away from an NBA title. But Barnes didn't stop there. In a game centered on small ball, Barnes caught a pass with Cavaliers big man Timofey Mozgov waiting under the rim. He was flanked by forward Mike Miller. Barnes needed only a split second to decide to attack both men. He did so with force, floating up with his left hand and crashing down for a dramatic slam over Mozgov and Miller. 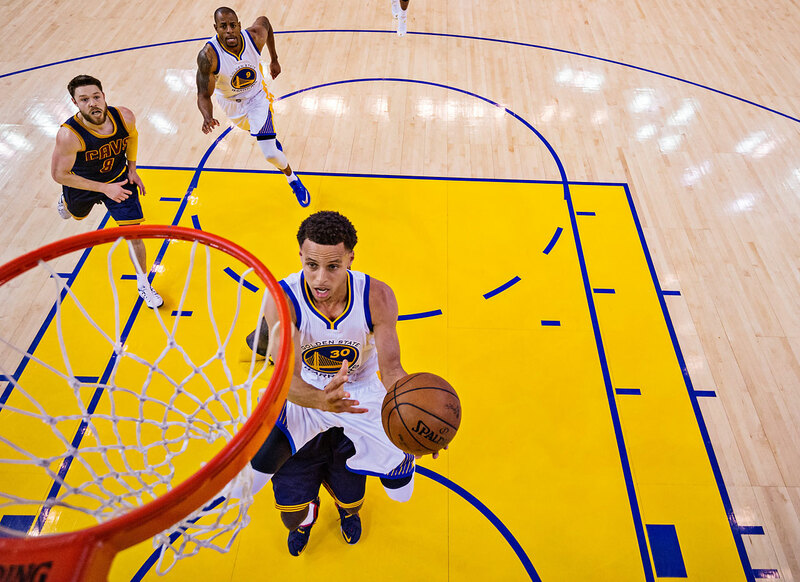 The emphatic dunk from Barnes gave the Warriors a 75-69 lead in the third quarter. Barnes was awarded another foul shot but failed to finish the potential three-point play. Barnes finished Game 5 with eight points and a team-leading 10 rebounds. 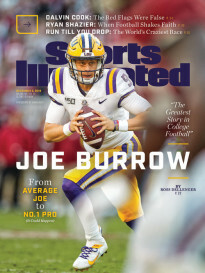 Sports Illustrated's Chris Ballard recently wrote on Barnes's ability to play against much-bigger opponents and his training sessions with Warriors executive Jerry West. Steph Curry played like the league's MVP in Game 5 of the NBA Finals, scoring 37 points to move Golden State to within one victory of claiming the NBA title. 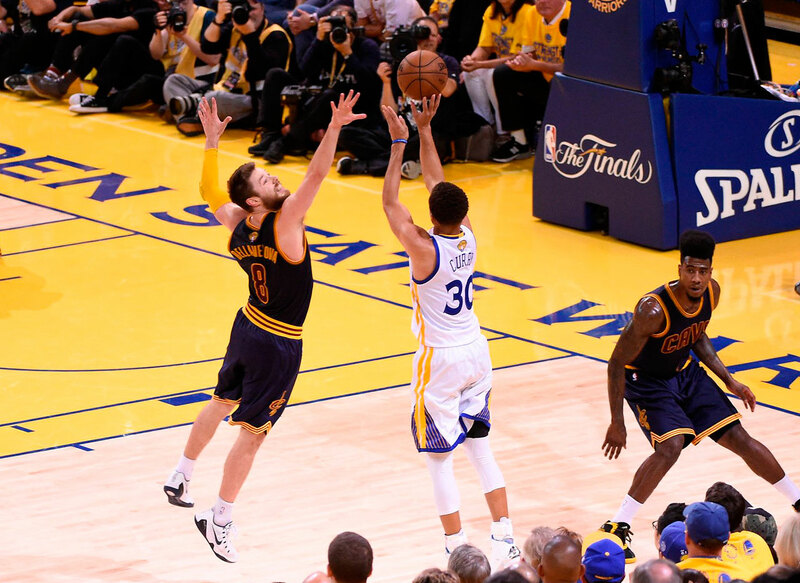 Steph Curry drained a three for the ages late in the fourth quarter, dribbling behind his back and crossing over Matthew Dellavedova before stepping back and taking the shot. Curry sank seven three-pointers on the night. 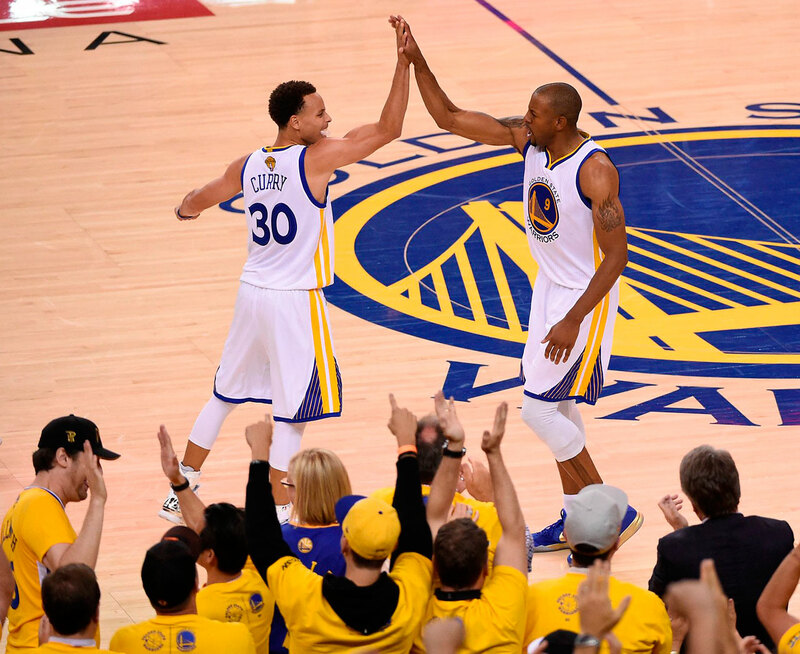 Andre Iguodala gets a high-five from Steph Curry after an offensive rebound and put back in which he also drew a foul. Iguodala finished with 14 points, eight rebounds and seven assists. Shaun Livingston drives against LeBron James and James Jones. 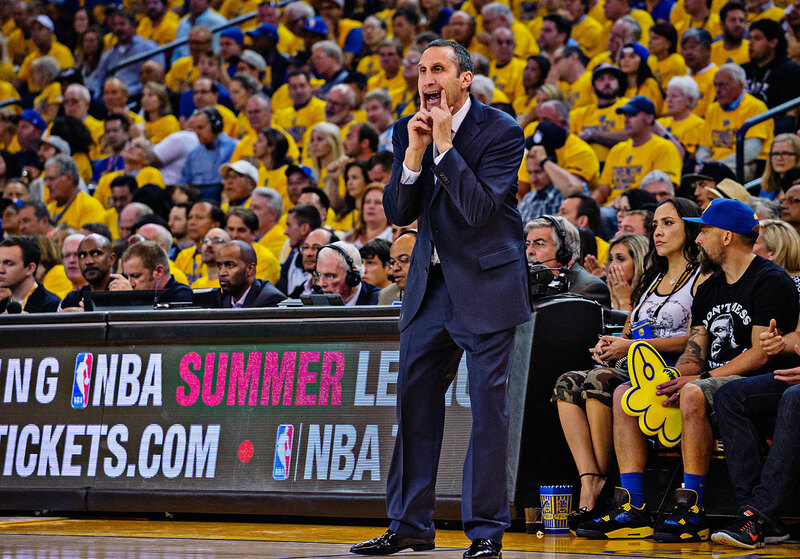 The Warriors will try to win their first title since 1975 on Tuesday night in Cleveland. LeBron James directs traffic for the Cavs. 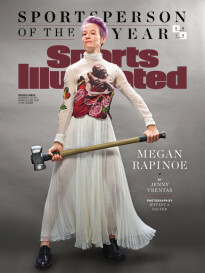 The four-time MVP scored 40 points and added 14 rebounds and 11 assists. 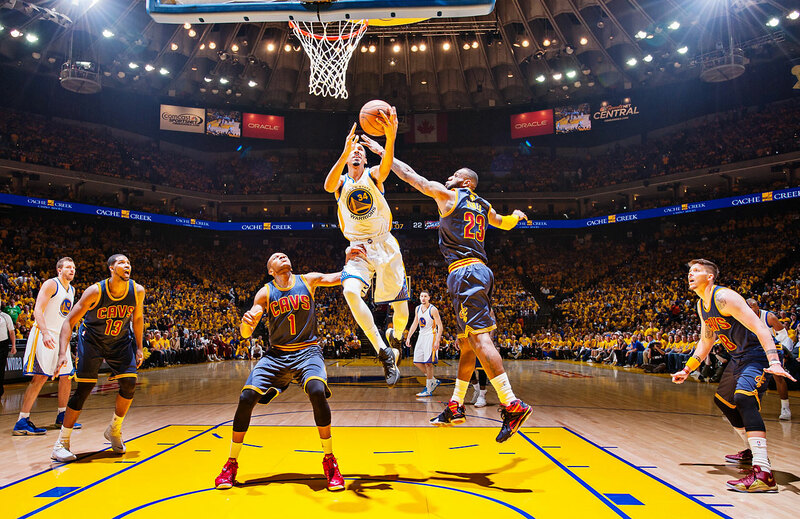 J.R. Smith pressures Steph Curry on a shot. Curry converted 13-of-23 from the field. 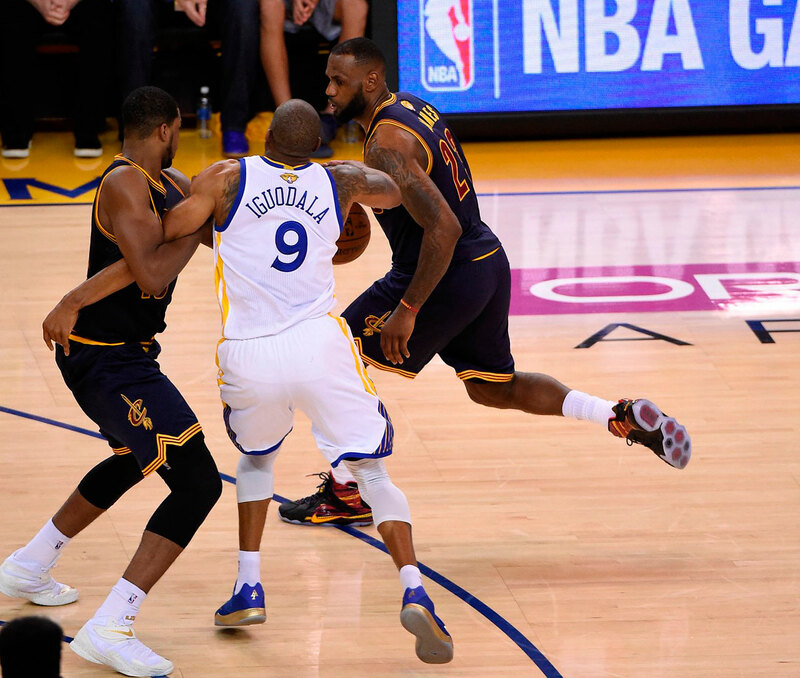 Tristan Thompson keeps Andre Iguodala from defending LeBron James. The Warriors got three-pointers out of five players, including this one from Klay Thompson, who scored 12 points. 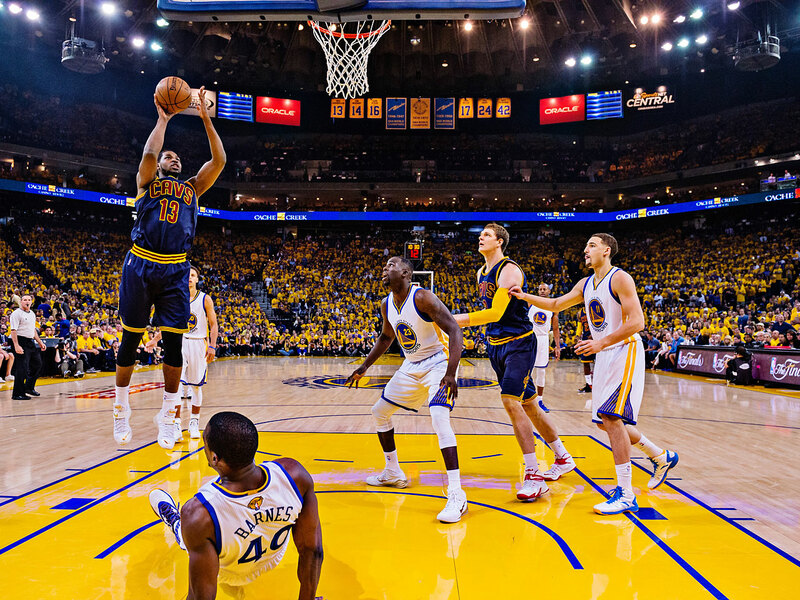 Tristan Thompson was Cleveland's second-leading scorer -- 19 points in 40 minutes of action. 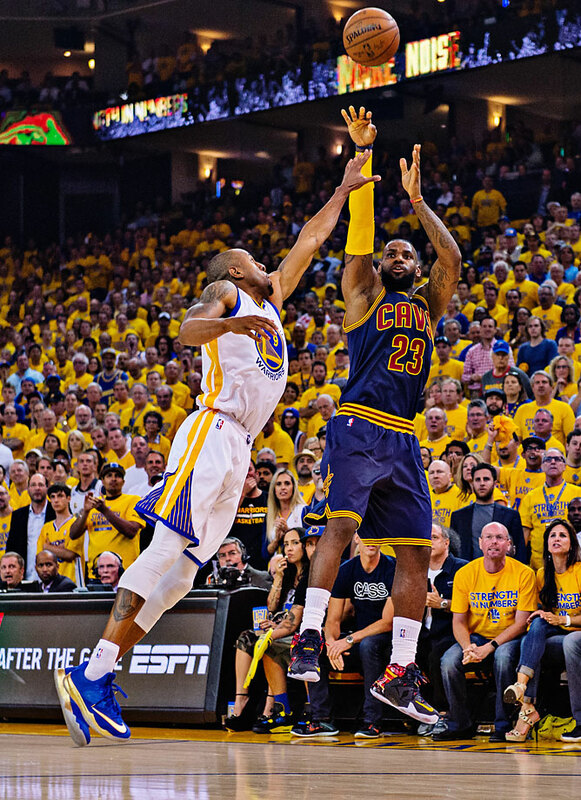 Andre Iguodala lunges at LeBron James on this shot attempt. James made 15 of his 34 attempts and sank seven free throws. Cavs coach David Blatt was asked repeatedly in the postgame media conference about giving Timofey Mozgov only nine minutes of playing time. Blatt's response was that he thought a smaller lineup gave Cleveland it's best chance of winning. 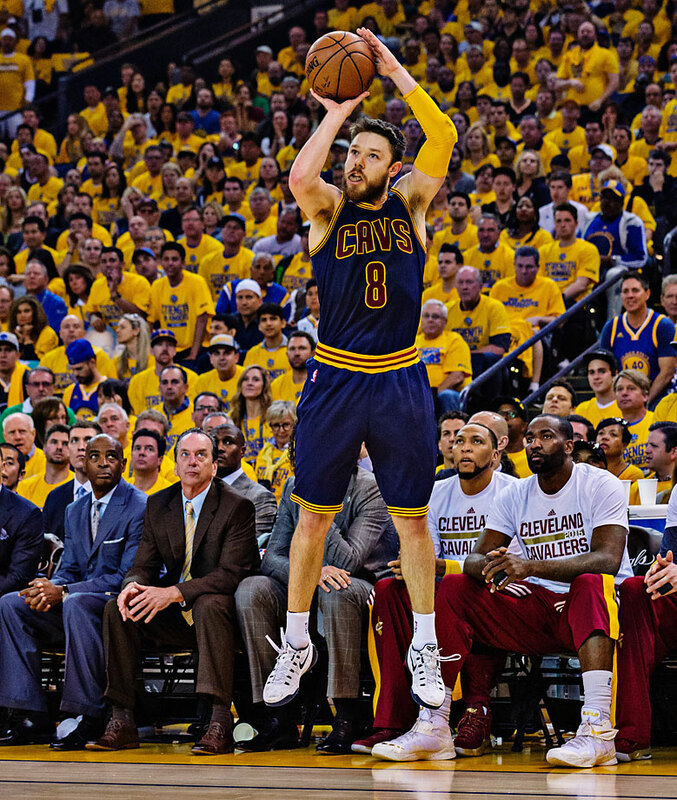 Matthew Dellavedova played 42 minutes but scored only five points. 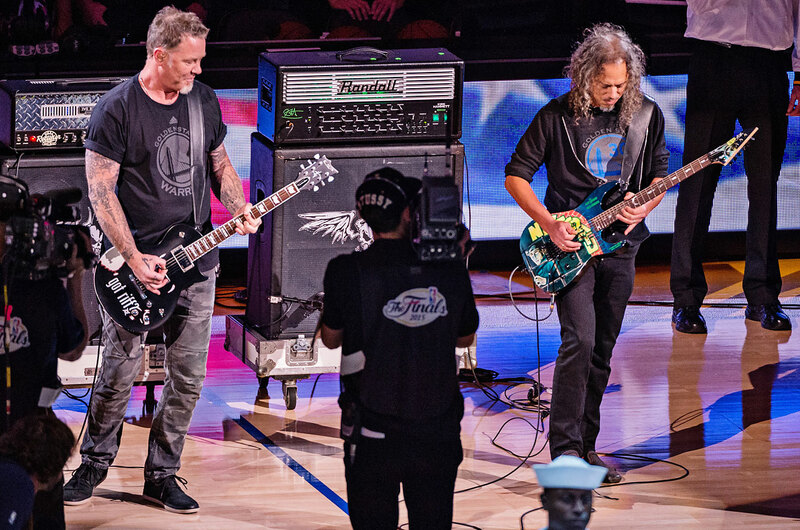 Metallica played the national anthem before Game 5. 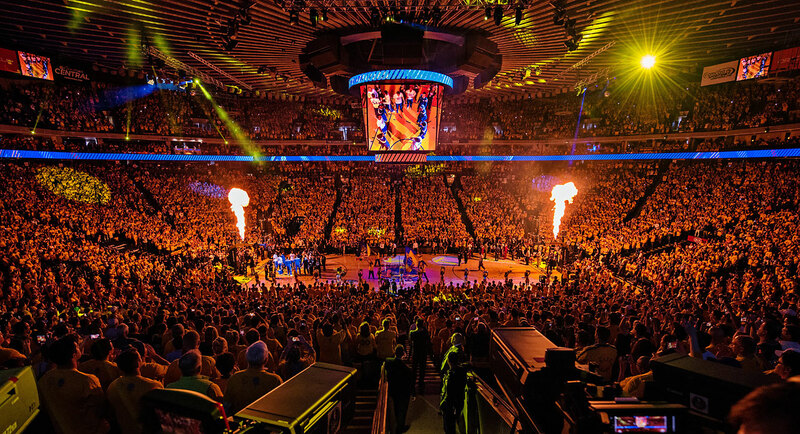 The scene inside Oracle Arena.